Your online web presence for desktop users is probably now about as SEO friendly as it can get. You have studied Google algorithm changes as they have occurred; you have revised your tactics and strategies so that you get those impressive back links; you have optimized your business blog and done all that you can to engage viewers so that they share your content. 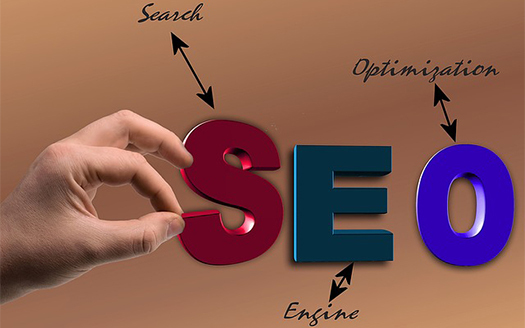 And, of course, content is one of the main factors in any SEO strategy. In fact, it is so important, that you may have even spent the money to get outside help in content gathering. You may have used sites such as Buzzsumo and others to ensure that your content is up-to-date and compelling. The more people reading it and sharing it, the more “points” you score with search engines. What about your mobile SEO strategy? How is that coming? With no blog, as little text as possible, what measures have you put in place for SEO? Assuming that your responsive or mobile-first design has resulted in a mobile site that provides a good user experience, there are now some specific steps that you should take to improve your SEO. After all, according to Smart Insights, we are now past the “tipping point” where mobile users have surpassed those on desktops. The implications for mobile marketing are huge, and ranking high with search engines for mobile sites has to be a main goal. Here are the four SEO Mobile Marketing Strategies you need to do right away. It is really easy to put keywords into your text on your desktop website. You do the research, you find those really effective ones, including long tail keyword phrases, and you get them into your blog post, within the text of your content, and in your meta descriptions. It is pretty easy to do. Not so easy on your mobile site. First, you have far less text; second, when you do have text, you cannot always use those long tail phrases that have been working so well for you. Remember that mobile screens are smaller; so are keypads; search terms that are typed in will be smaller too. Among mobile device users, then, different keywords may be more utilized than those you are using for your PC site. Get some research done involving mobile devices, especially keywords that your competitors are using. Also, see how you can reduce content as a whole. It is difficult to read on a small screen, and users will bounce if it becomes irritating. When users bounce, search engines notice. Analytics, mostly provided by research conducted by Google, has shown some strong statistics in favor of mobile ad marketing tactics. In fact, they convert at a pretty high rate. And when each of those conversions occur, search engines notice. People on their devices who link to your mobile site or download and use your mobile app are providing information to search engines that they are connecting with you and often converting in some way. While you may not be using paid ads for your PC users, adding them to your mobile SEO strategy will be pretty critical. The money spent will be worth it, considering that more of your target audience will be on mobile devices. And if your competitors are not doing it already, they soon will be. Almost two million apps are now available in the Apple Store and Google Play. They are downloaded at a rate of 45%, and 40% of people finalize a purchase after they scan a QR code. When you have a mobile app developed, consumers can learn more about your company; they have an easier time making purchases. And you can encourage them to download your app on your mobile site. The easier you make it, the more users you attract; the more users you attract the more popular you are in the eyes of search engines. It’s that simple. The other great thing about a beautifully appointed app that provides a great user experience, is that it will be recommended to others. You can also promote that download on your regular website, your blog and all of your social media platforms. As user download it, search engines notice. With an ever increasing number of online searches, it is obvious that you must have a site that loads quickly and an app that downloads and opens at high speed. You have probably read the research that says your site and any page must load within 2 seconds. Any longer than 3, and you will have frustrated visitors who leave and don’t come back. Search engines don’t like that. One of the things you can do to impact speed and user experience is to have a one-page site. A user can scroll down, and you can eliminate buttons that must be pressed by fat fingers to load another page which might be slower than it should be. Swiping is popular, and users like it. Now, it may not be appropriate for every business, but if it could be for yours, consider it. But you can test this quite easily, just as you should for every element you add, delete, or change. Almost $105 billion worth of sales occurred via mobile devices in 2015. This amount will increase significantly in 2016. And people buy, via searching for sites that offer the products and services they want. Your job is to make sure that when those searches occur, you pop up. SEO on mobile is a bit different than that for PC’s – you can tweak everything you need to enhance your SEO and continue on that path as new algorithms and tactics emerge. You can’t afford not to. In this post, I discussed 4 SEO Mobile Marketing Strategies You Must Have. If you have anything to say, please share your opinion in the comments section. Your opinion matters, unless it is a Spam. Dante Munnis is a blogger and idea maker from Stockholm who is interested in self-development, web related topics and success issues. He shares ideas for students living a better life and building habits that stick. To get strategies for boosting your mental and physical performance. You can find more of Dan's articles on Trust Essays and get in touch via Twitter. 63 queries in 0.384 seconds.